If you lose files on SD card and are looking for solutions to retrieve them, then you just found the right article. This article mainly presents users effective solution to recover lost files from SD card and summarizes potential reasons that might cause SD card data loss. Finish reading this and you’ll be equipped with useful data recovery skills. Due to the rapid development and improvement of data recovery and memory card technology, SD card recovery is no longer a complex task. SD card never fails to gain the popularity all over the global, because it is tiny in shape and has large capacity. 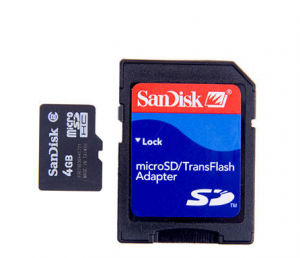 As digital storage device, SD card has the tendency of losing data like other storage media. SD card are widely used on cell phones, digital cameras, GPS navigation devices, handheld consoles, tablet computers and more, and data loss will definitely cause big trouble. There is SD card recovery software which is available to download on the Internet. Such software allows users to get back lost pictures, video, music and other types of files that are accidentally deleted or formatted from SD card as well as other storage media. What users need to do is simply running a scanning of the memory card. The only requirement is that the memory should be detected by computer and no files are stored after data loss. Before you actually start the scanning process with SD card recovery programs, say Eassos Recovery, you need to connect the memory card to computer via USB port, which can be done by card reader. Also, some laptop already has this built in, so there is no need to buy a hand-held card reader. Eassos Recovery has two versions, one if for free and the other one is full version. Both supports SD card recovery with in several minutes and are available for common users. If you are trapped in the predicament of losing valuable files from SD card, then ensure that stop using the memory card such as take photo, and do not store any data to it before lost files are completely recovered. This is vital action that avoid data file overwrite. After recovery software finishes file scanning, do not save recovered files to SD card which is recovering files. Besides, it is not advised to format the SD card before recovery process, which increases the difficulty of successful SD card recovery. Make at least two backups for important files and store backup files on different place. How to recover lost files and folders from SD card? This entry was posted in Data Recovery and tagged SD card recovery by EASSOS. Bookmark the permalink.